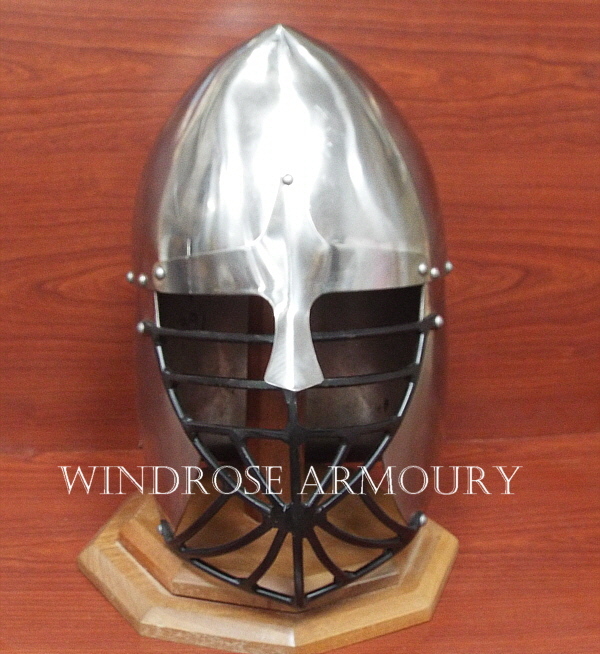 Forward Peak Norman, Mild Steel, Medium [H-391] - $450.00 : Windrose Armoury, We Bring History To Life! 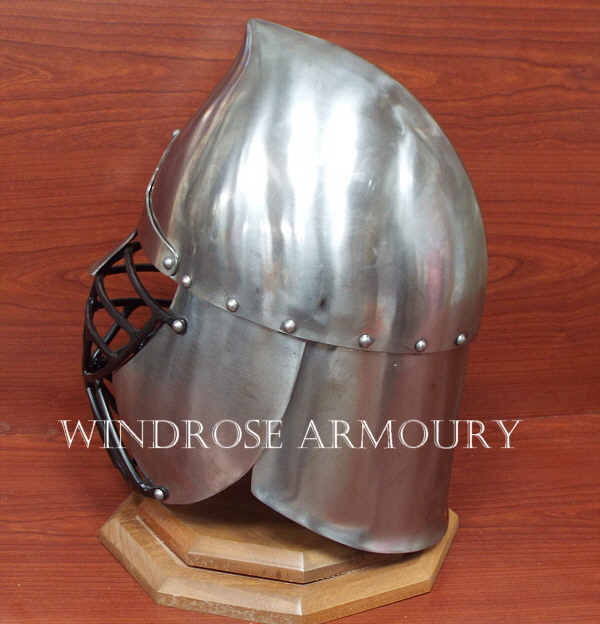 Made from our Made To Order helmet patterns, but without the wait. 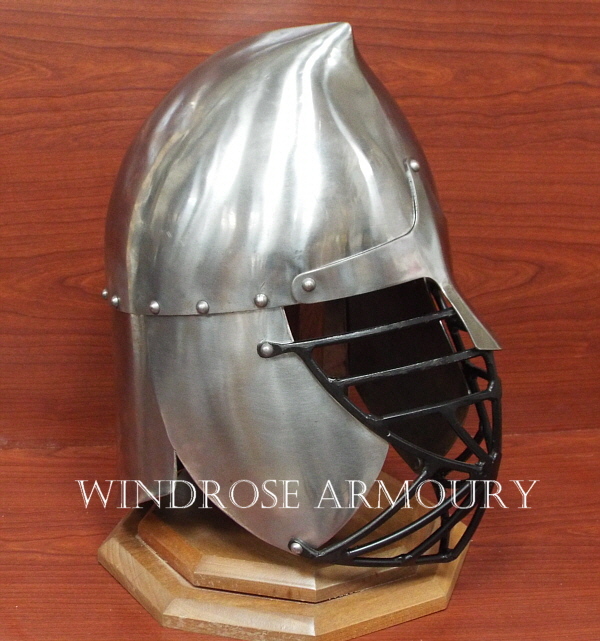 Constructed of 12 and 14 gauge mild steel with 1/4" welded mild steel grill, This is an attractive and long lasting helmet for SCA rattan combat. Helm weighs 9 lbs..